Introducing three new characters in the coming hit Dungeon Hunter Champions. Be the first to meet them by pre-ordering the game on Google Play here. 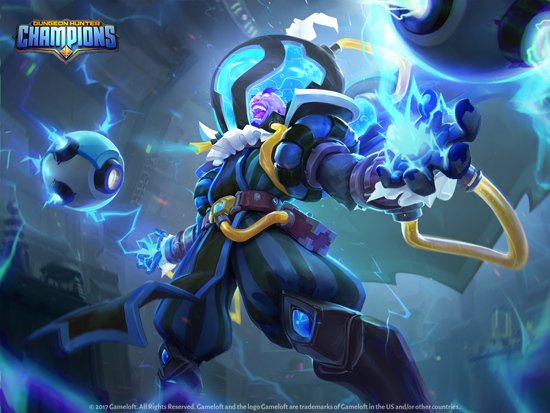 Dr. Dendryte, Voxia, and Lingshe are some of the characters who populate the Dungeon Hunter Champions Multiverse. These three and many of the over 250 champions are brand new to the Dungeon Hunter franchise. Every champion has an original backstory written by fantasy and sci-fi veteran author Dan Abnett. The intricate narrative ties all the champions to the many worlds of the Multiverse and establishes the relationships between them. Get ready to build your team and summon Champions from every corner of the multiverse to embark on an epic adventure. 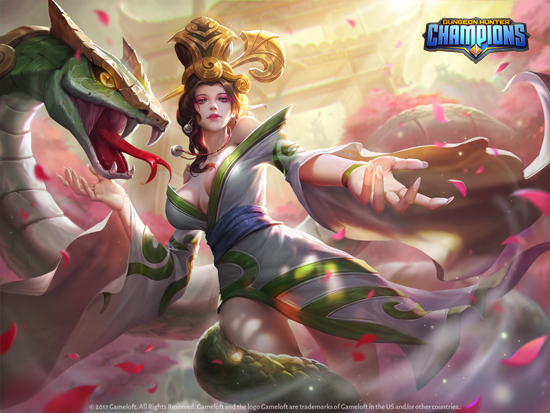 So who are these three Champions and how can they lead you to victory? If ever there was a villain, it is the deranged Psion, an evil mad scientist with physic powers. The Psion is a formidable opponent, and a powerful asset to any war party. Woe betide any foolish mortal who gets in his way as he strives to win the game for himself! The Derby Girl is an all-star, all-winner champ of the famous Ultimate Blitz Coliseum, a sport that combines speed, agility and excessive violence. The Derby Girl is spunky, sassy and playful. It's hard not to like her, even though she is often reckless and impulsive. She's hell on wheels, and she swings a mean baseball bat. The Snake Lady travels the world of Valora as an explorer and pilgrim, accompanied by a fellow snake spirit, her friend and companion. She is peace-loving and restrained, but is nevertheless able to fight when necessary. Driven to combat, she can strike with the power and speed of a snake, and is an implacable adversary.